Dactylorhiza romana is a rather small and slender plant with a height of up to 30 cm. The 3 to 9 leaves are unspotted. The cylindrical to conical inflorescence carries medium-sized flowers, each supported by a bract which is about as long as the flower. The spur is longer than the ovary and erect. Petals and the middle sepal form a small hood. The lateral sepals are erect. The three-lobed labellum is rounded with the lateral lobes reflexed. 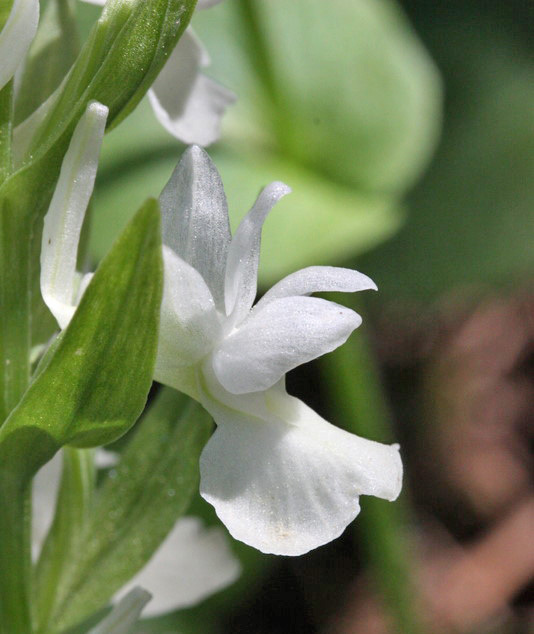 The plant was first described by Francesco Antonio Sebastiani (1782-1821) in his opus Romanorum plantarum fasciculus primus (1813) as Orchis romana. In 1962 the Hungarian botanist Károly Rezsö Soó von Bere defined it as Dactylorhiza romana. The flowers of Dactylorhiza romana are either yellow or – more rarely – reddish to violet. 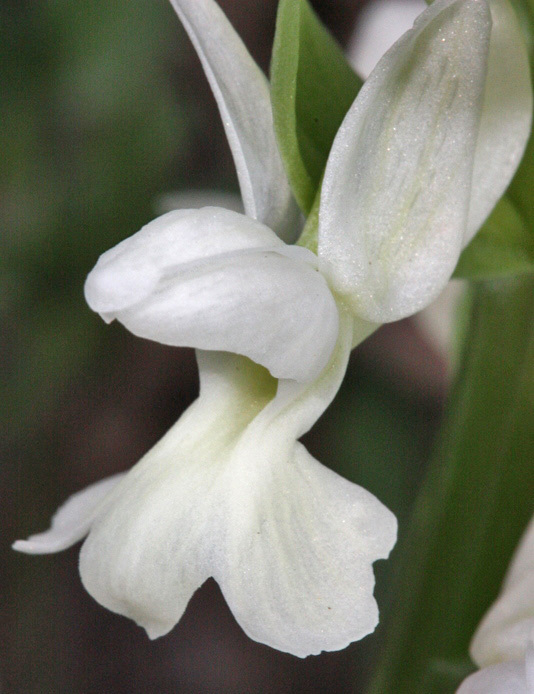 It might be assumed that the rare white-flowered form is the violet form devoid of anthocyanins. Dactylorhiza romana is growing in coniferous woods and on dry grasslands, up to 2000 m. Bloom is from Marche to June. It is distributed in the Central and Eastern Mediterranean regions.